Fr. 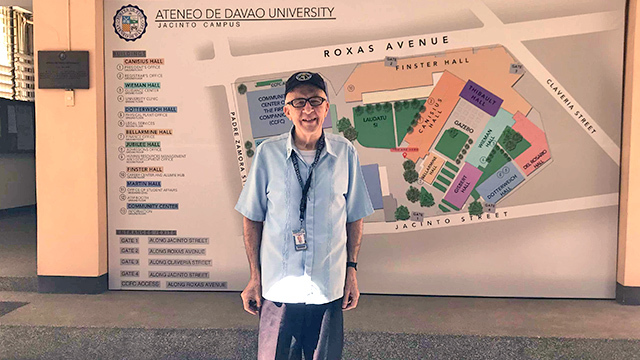 Daniel J, McNamara, Ph.D. will be one of the instructors of Ateneo de Davao University's Aerospace Engineering program, a first in the country. 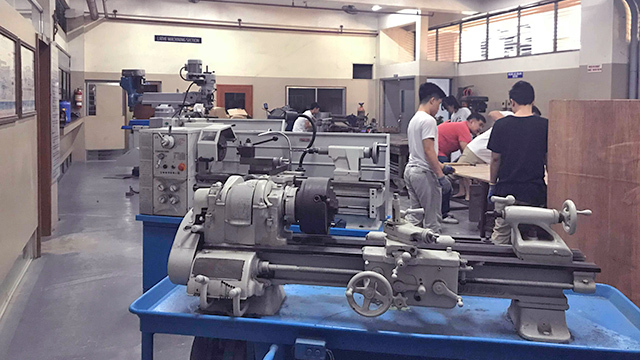 The Ateneo de Davao University (AdDU) in Davao City is introducing a Bachelor’s Degree in Aerospace Engineering, ahead of Philippine government plans to develop a space industry and attract space-related investments to Mindanao. The degree program, the first ever in the country, is starting this semester, according to Fr, Daniel J, McNamara, Ph.D., AdDU’s physics coordinator. He explained the idea arose from the Department of Science and Technology’s (DOST) proposal to set up a space facility in Mindanao in the next two years as part of the National Space Promotion, Awareness, and Capabilities Enhancement (SPACE) Development Program. Under the leadership of Filipino astrophysicist Dr. Rogel Mari Sese, the program aims to put in craft a 10-year plan to promote space development in the Philippines and make the country competitive in space-related investments. Mindanao is a strategic location for a space-related ventures. “The closer you are to the equator, the less energy and expense is required to launch something into space,” explained McNamara, who has a Ph.D. in Astro-Geophysics from the University of Colorado in the United States. “Basically, you don’t need to spend as much to launch something into the air”. The Earth’s natural rotation on its axis offers an additional boost for rockets to achieve escape velocity. The opportunity for a more optimal launch near the equator makes Southeast Asian an ideal location for satellite launches. “But the Philippines is lagging behind. All ASEAN nations have a space agency in some way, shape or form, except us,” said McNamara. DOST would need an academic institution to understand and apply aerospace concepts. AdDU thus introduced the degree to meet DOST’s emerging demand for skilled and trained space engineers, placing McNamara as aerospace coordinator. The Ateneo de Davao University (AdDU) is one of the top engineering schools in Mindanao. Seen in photo are Mechanical Engineering students in a workshop. Drones and airplanes help planners to view things from the air but they barely provide the whole picture. With smallsats, however, they see the entire archipelago. McNamara said that the Manila Observatory, where he was executive director for more than 10 years, works with big satellites operated by French, Russian and US agencies. However, the data is not theirs. With smallsats, “we are moving towards another level – producing our own data. We have very good engineers. How about we make our own smallsat?" There are three components of aerospace development that can attract potential investments. First is building satellites. Putting a smallsat together requires the right materials. 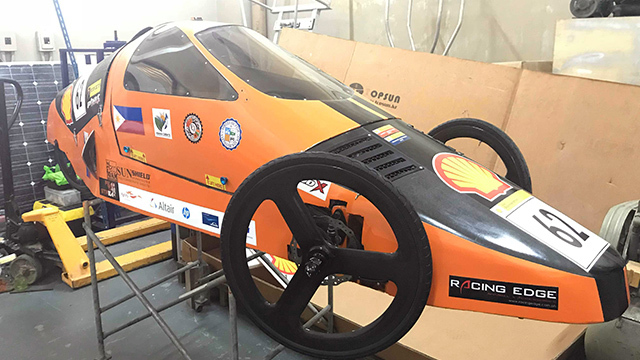 McNamara aims to push for locally sourced materials, sharing that Dr. Sese had already shown him a model airplane that uses abaca and single layer carbon fiber. Second is launching satellites. Launching will require massive amounts of energy and an appropriate facility to bring a smallsat into space. “We are talking about possibly extracting fuel from local materials such as crops and vegetation, which has already been done to a certain extent,” says McNamara. They are also considering building a launch facility in Mati, Davao Oriental. Third, space weathering. This relates to the technology needed to keep a smallsat in space. Monetizing in some way the data gathered from the smallsat can help make its use sustainable. Even if the aerospace engineering degree is still in its very first semester, the momentum of company sponsorship and future employment for graduates has already begun. McNamara said he has met with a team from European aerospace company Airbus who expressed an interest in supporting AdDU’s aerospace engineering program. "They came here to the Philippines and we talked about the future of this program. One of their scientists is coming over this October to look further at the program’s possibilities. Airbus is very supportive. They even immediately offered to take one of our students abroad on a scholarship, but we weren’t yet set up to send someone to France,” he said. The company nonetheless is backing part of the 15 scholarships Ateneo is offering to program students. With a keen interest from global aerospace companies, AdDU is focused on producing quality and globally competitive engineers. "First, we have to teach our students the science and technology behind aerospace,” says McNamara. McNamara is confident the new degree program will succeed. Not only has the course been met with great enthusiasm from students and parents, AdDU is well equipped to pioneer the program in the country. The university has been a training ground for students who performed well in engineering board exams. “That’s why we were confident that we could actually put something together and get support,” he said. The foundation of aerospace engineering training consists of mechanical, civil, electrical and chemical engineering concepts. In addition, the program includes Technopreneurship 101 to teach students innovation, management, strategic planning and competition in technology.